Cassie's Tale: Fruits and Vegetables and Felt - It's Spring! We never cease to be impressed, and inspired, by the creativity and talent of the many artists selling their handmade pieces on Etsy. 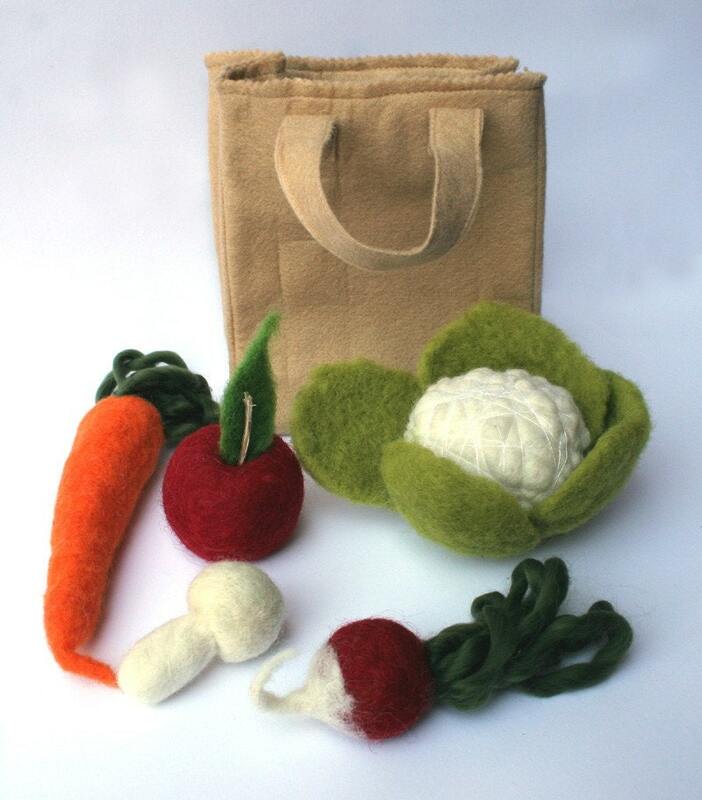 Today, we ran across these delightful needle felted fruits and vegetables, complete with their own grocery bag. What a cute idea -- and just in time for spring, too. We also love the sweet felted pink pig puppet in Laura Lee's Etsy shop. Those ears are just huge!